Autumn lovers, rejoice! The colors of fall last for such a short time, but with Terri Vanden Bosch's A New Leaf quilt, you can enjoy those bold hues whenever you want. Terri used Jackie Robinson's Autumn Leaves collection paired with a paper pieced tree block to make this fun quilt. What attracted you to Jackie’s fabric collection? Jackie's fabrics are always so beautiful up close –the tiny bit of metallic glitz just makes this line sparkle even more—like the late fall sunsets shining through the half bare trees!! The collection has a great variety of dark, medium and lights in it, which gave me plenty of options for the trees. 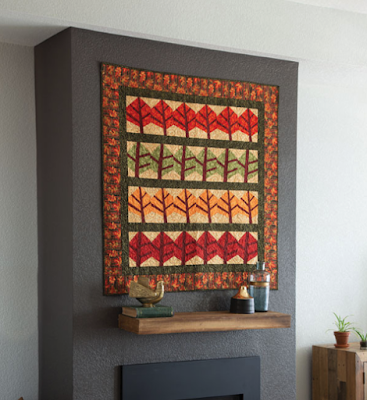 Can you talk about this quilt design came to be? When I was a child, we traveled to my grandparents’ house and we would pass through a small town with a maple tree-lined street. The top branches of the trees on either side of the street would touch each other and form a canopy of leaves over the road. Seeing those trees meant that we were half way to Grandmas' house!! Only 45 more minutes to be carsick and stuffed with three of my siblings in the back seat of our Dad's Ford. Funny twist to the story--my daughter and her family now live in this small town--and the Maple trees still line that street!! 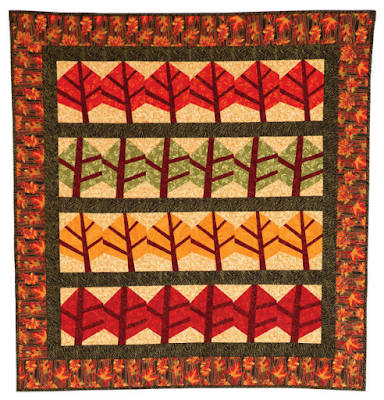 So I designed the quilt to be trees--Leaf Lane was my original name. I think it would be fun to make a few of the "trees" bare--then they might look more like trees and less like leaves. Why does paper piecing work well for a design of this style? Paper piecing gives me freedom to create designs that are not based on the straight lines of grid based blocks--while I love those too--sometimes it is just fun to play and create something new!! I used to be scared of paper piecing--but once I started using the Add-A-Quarter ruler to trim off the excess fabric to a 1/4" seam allowance for easier placement of next fabric--I was hooked!! Any tips for making quilt? Always make a test block when paper piecing. Each person has their own way of doing this technique--so make sure the cut fabric sizes work with the technique you use before cutting out the whole quilt. After making sure the cut fabric sizes work for you, then stack the pieces to make for easy chain piecing. Can you talk about how you quilted this, and why? As a professional long arm quilter I find that choosing the motifs for quilting is one of my favorite parts of the quilting process. I am quite passionate about making the quilting design fit the feel of the quilt. I chose a greeny/gold thread color to do a swirling vine and loop across the entire quilt top--mimicking the swirling vines and leaves on some of the fabrics. This let the fabric and piecing be the star of the quilt. What do you like best about the quilt? The simplicity and movement of the rows just feels right and makes me remember the maple-lined streets of a childhood memory!! 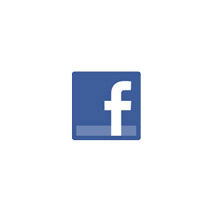 Click here to visit Terri's website. Click here to purchase the kit for A New Leaf. Click here to purchase the A New Leaf pattern. 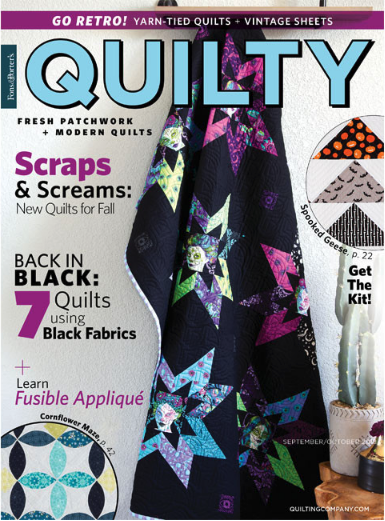 Click here to find Quilty magazine.